Sugar withdrawal signs like anxiety or headache can make it difficult to eliminate sugar from your diet, but you can try ways to get through those symptoms. Many people with a sweet tooth say that they cannot stop eating sugar because of "sugar withdrawal". While it may feel like an excuse to continue enjoying sweet stuff, nutritionists have found that sugar deprivation can have certain effects on your health. This is more likely to happen when you are used to consuming high levels of sugar. In fact, the symptoms of sugar withdrawal can actually be quite debilitating and painful. Your body metabolizes carbs and sugar in the same way. They are forms of energy but do not have much nutritional value. When you are detoxifying your body from sugar, you are likely to experience the following withdrawal symptoms. It is natural to experience strong cravings when trying to eliminate sugar from your diet. It is quite like taking drugs, which is why you just cannot stop thinking about sugar. When you crave sugar, know that your body has become too dependent on it. This also indicates that there is an imbalance in your system. When you do not get as much sugar as before, you start to feel lethargic and tired. That happens because your body has tagged sugar as your primary energy source, which is why you start to feel tired within 24 hours of stopping your sugar intake. You will notice that your mind is feeling dull and your body is becoming heavier. In case of heavy dependence, you may also feel depressed after ceasing the intake of sugar. After feeling lethargic for a few days, anxiety will set in. 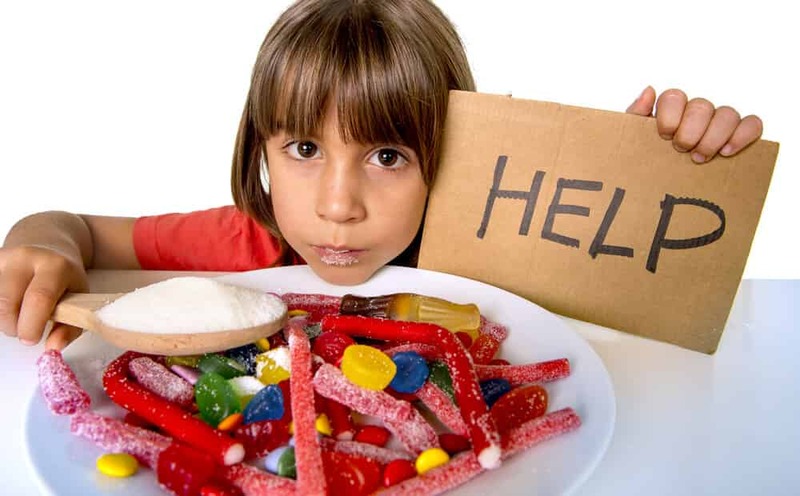 It is quite common for people who first feel depressed because they were too dependent on sugar. That anxiety is also the result of taking something out of the picture that makes you feel happy. This can lead to a chemical imbalance in your brain and cause serious anxiety. You may feel anxious and have problems like paw tremors, teeth chattering, and head shaking. You usually develop a headache when you try to cease your intake of sugar. Some experts believe that you should cut slowly and continue to take a very small amount of sugar to prevent the headaches. However, you should consider getting that sugar from fruits. In addition, you may also experience some other symptoms such as chills, insomnia, muscle pain, gas, nausea, and bloating. You can consider eliminate all forms of sugar from your diet at once, but that approach may not suit every one. Therefore, it is better to try other ways to get through those withdrawal symptoms. 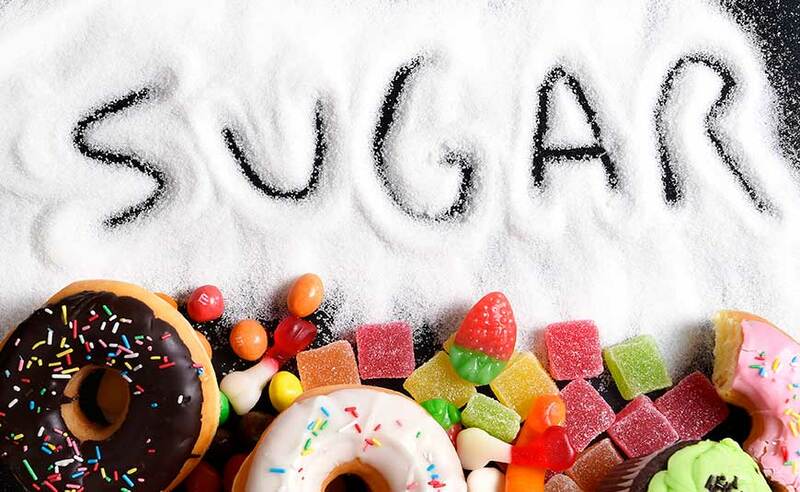 Instead of stopping your intake of sugar, you should consider cutting its intake gradually. Know that your body relies heavily on sugar to get energy, so eliminating all of it is only going to make things difficult and keep you from getting good results. Eliminating it gradually from your diet is a better approach. You can start by using one less teaspoon of sugar in your beverages or cut the amount of chocolate to half to see good results. Moreover, you should eat something healthy whenever you eat something sweet. It is never easy to overcome cravings while trying to limit your intake of sugar. If those cravings are strong, you may want to try some sugar substitutes to keep things under control. The idea is to make your mind believe that you are consuming something sweet and your body will be forced to think the same. You can switch to natural sugar substitutes such as Xylitol or Stevia for a short time to control your cravings. Fruit is a natural source of sugars, but it also provides you with minerals, vitamins, and other essential nutrients. For instance, you get about 15g of sugar from 1¼ cups of strawberries, whereas you get about 30g of sugar from a packet of M&Ms. It is better to opt for fresh fruit because canned or dried fruit may have added sugars. One way to deal with cravings is to engage in physical activities. Exercise is good for your overall health but it also releases feel-good hormones endorphins that help improve your mood and make it easier to overcome cravings. Exercise may also help lower the frequency of headaches caused by sugar withdrawal. Drinking more water is one good way to rid your body of toxins. When trying to cut sugar, you should consider having a glass of water every time your body craves for some sugar. Sometimes, you take thirst as a sugar craving. Be sure to drink 9-13 glasses of water daily. It means that you should try to eliminate any possible source of sugar from your home. If you have temptations in the form of chocolate or other sugar snacks, you will never be able to stay strong. Instead, keep some fruit around and switch to it whenever a sugar craving hits you. Keeping track of how much sugar you eat on a daily basis will help you in many ways. First, it tells you exactly how much sugar you have been consuming. Many people understand the need to limit their sugar intake when they see those figures on paper. Moreover, you should also keep a detailed journal because it will help you get a better idea about your hunger, diet, sleep habits, sugar cravings, energy levels, and weight. Knowledge about these variables will help you make healthier decisions and find new, more effective ways to prevent sugar withdrawal symptoms.